■ The Democratic Front for the Liberation of Palestine (DFLP) called on the masses of our Palestinian people, to participate in the "million march of Land and Return" on Saturday, March 30, in all the return camps in the eastern Gaza Strip, and in all areas of engagement with the Israeli occupation in the West Bank, including occupied Jerusalem, which coincides with the 43rd anniversary of Land Day. The Front stressed the need to continue the "marches of return and breaking the siege" as a mass struggle, that requires the mobilization of all the energies and struggle tools, to achieve their goals in forcing the occupation, to break the unjust siege on the Gaza Strip and to emphasize the adherence of our refugee people to their right to return to the homes and properties, from which they have been displaced since 1948, according to UN Resolution 194. 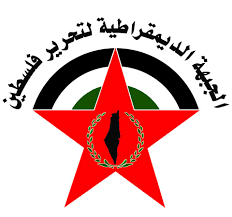 DFLP stressed the right of the Palestinian people to resist the Israeli occupation in all forms and tools available and to maximize losses in the ranks of the Israeli occupation, as a legitimate right and guaranteed in all the norms and international laws of the peoples under occupation. 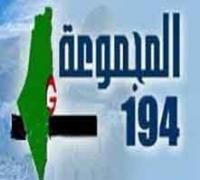 Pointing out the need that the marches to keep on their public character and popular resistance with all the tools and the means available, in accordance with the national consensus, to defend our people and to emphasize its legitimate national rights to return and self-determination and the establishment of an independent Palestinian state with full sovereignty and Jerusalem as its capital on the borders of June 1967.